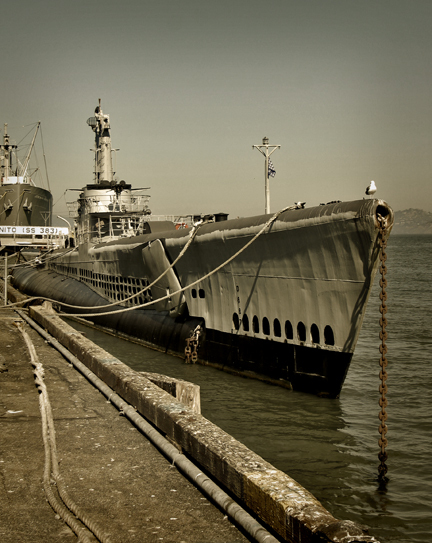 200,000 visitors a year tour the World War II submarine, USS Pampanito off Fisherman's Wharf. Dry-docked for nearly 50 years the submarine has been restored and turned into a National Historic Landmark, now it is available for touring seven days a week. Climbing through the submarine's tiny compartments it's hard to believe that it once housed a crew of 80. The Pampanito served in the Pacific Ocean throughout the war and was credited with six ships sunk, four more damaged, and 73 Allied prisoners rescued.